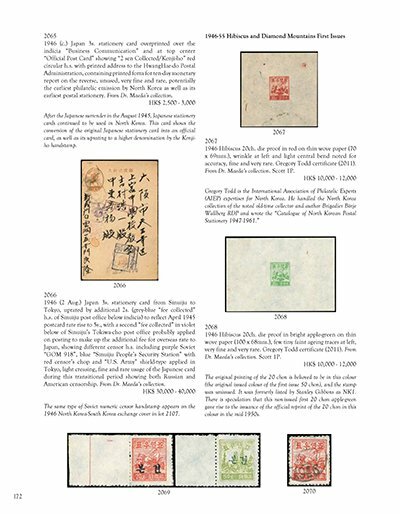 Auction catalogs are always a useful reference. 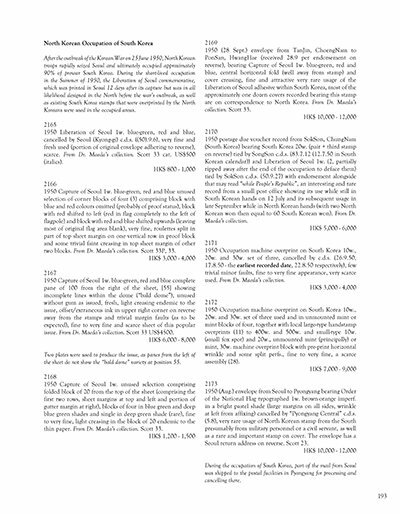 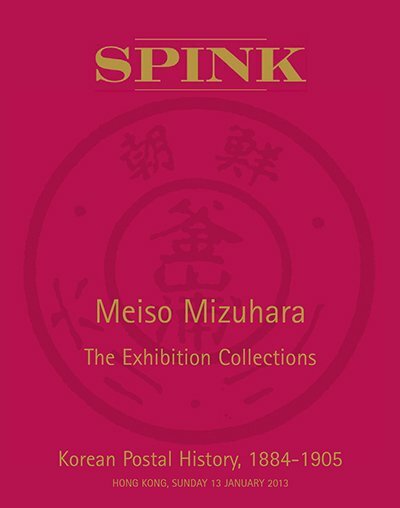 Here we list dates/download links of important collections of the past for reference. 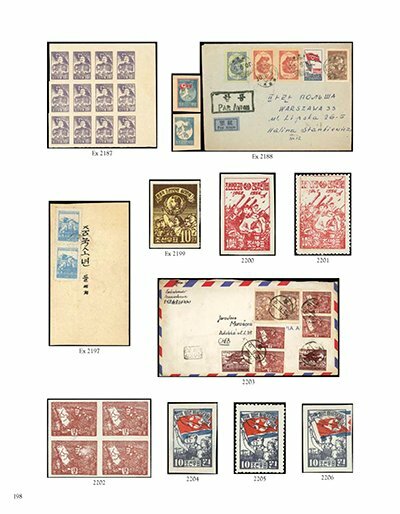 Please report other important collections (with link) for this subpage. 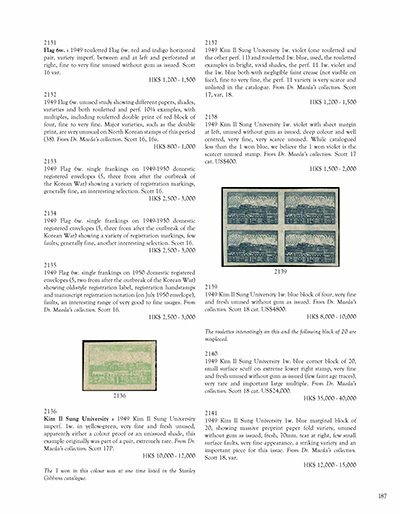 If possible include .pdf of prices realized, some companies have extra files for that. 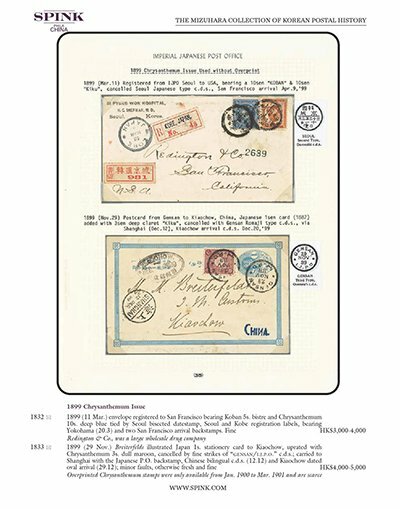 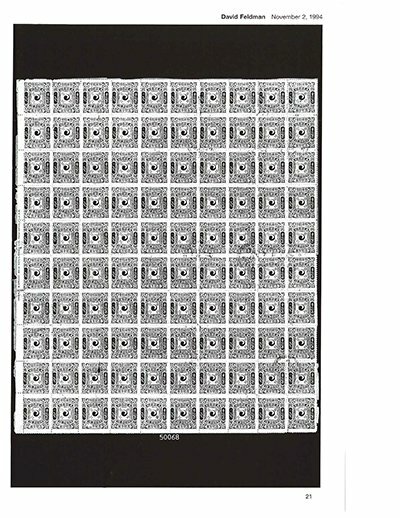 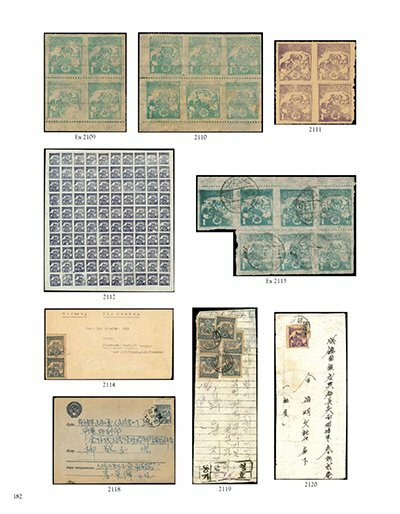 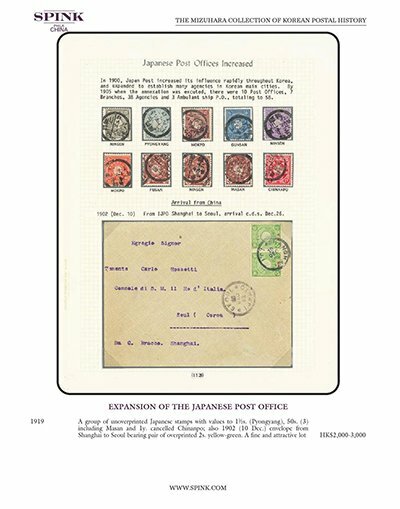 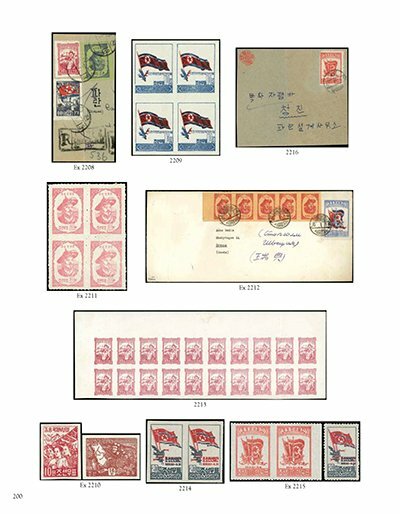 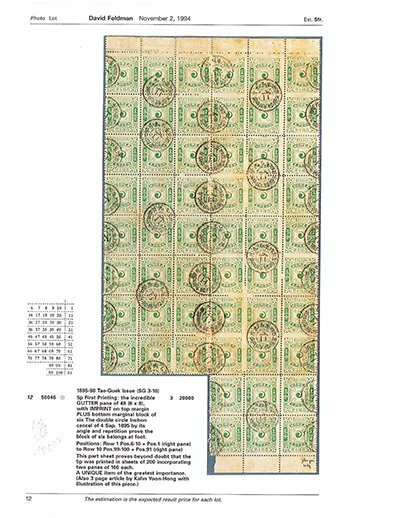 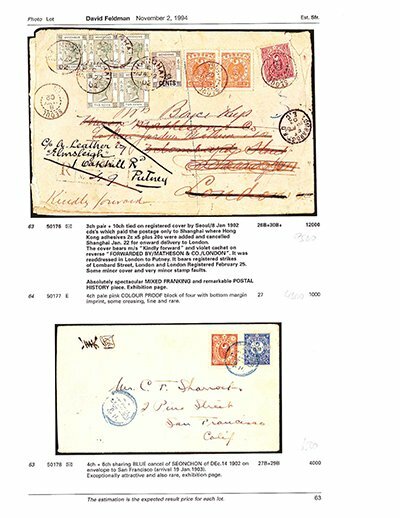 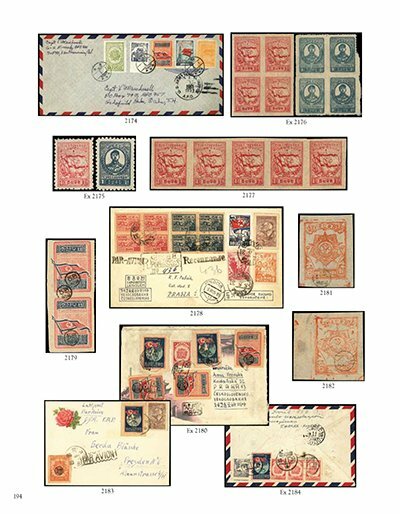 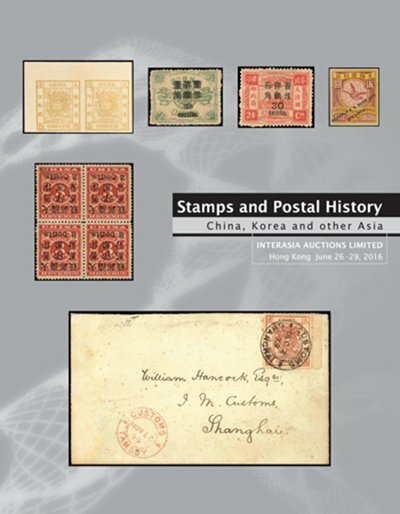 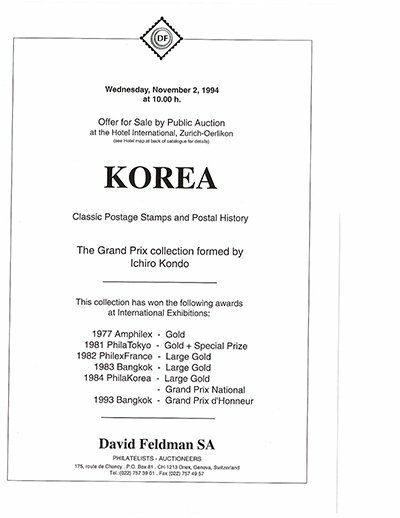 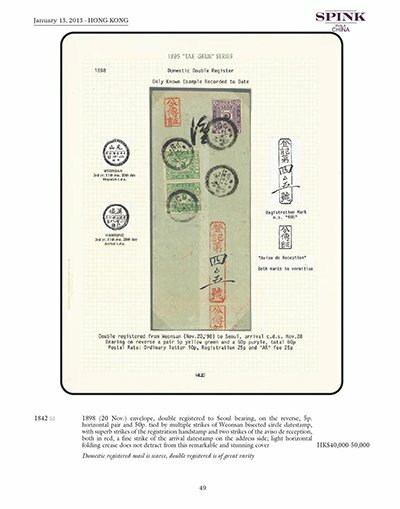 We also would love to have older catalogs (back to the 1970s) with relevant Korean philatelic material, scanned and uploaded as .pdf.